You’ve probably heard of Michael Phelps. With 22 Olympic medals under his belt, he’s the most decorated Olympian in history. But what about Bob Bowman? Have you heard of him? Behind every great competitor is a great coach. Phelps had this to say about Coach Bowman: "I don't think I could be where I am today with any other coach. He's so intelligent in this sport and cares about every one of his athletes. He's so thorough. He's always on top of things. I'm fortunate to have a coach like him." It is no surprise, then, that learning software development is no different. A coach keeps you on track, helps you when you get stuck, and can offer alternative strategies for success. In short, a coach accelerates the learning process. 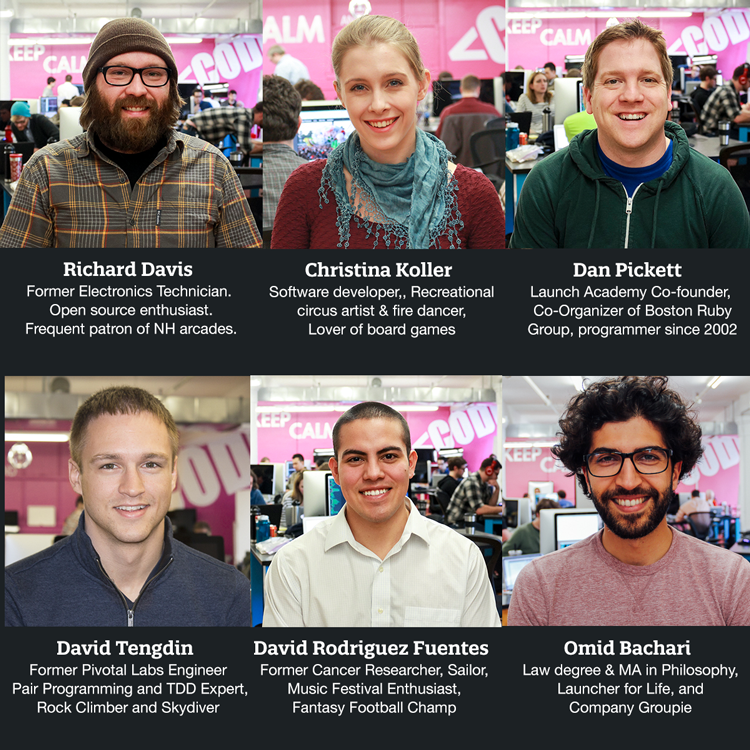 Think of your Launch Academy Online mentor as your code coach. Michael Phelps had Bob Bowman. Serena Williams has Patrick Mouratoglou. Tiger Woods had his father, Earl Woods. These winning pairs aren’t just unique to sports--they’re the secret behind every personal and professional success story. Everybody needs a coach, mentor, or a role model in life. Your mentor will help you to establish what success looks like. During your first call together, you’ll explore what you want to accomplish, and you’ll work together to formulate a plan to get there. Most learn-to-code journeys stop when the going gets tough. Learning something new is always challenging. That’s why you need a mentor to help keep you motivated, and to help break the logjam when you get stuck. Your mentor will monitor your progress. They can even give you the occasional kick in the pants to help keep you moving when you need that too. The world of software development is always changing, and there’s always something new to learn. A mentor can help you to find the resources needed for exactly where you are in the learning process so that you can perform predictably. Your mentor will coach you to celebrate a small win every day. If you make yourself 1% better daily, you’ll double your abilities within 70 days! Software and your skills alike are built in increments. Your mentor will encourage you to make iterative progress towards your goals, and they’ll be the one to cheer you on along the way. Learning with Launch Academy Online will feel like you’re on the job, working as a professional software developer. As athletes often say, you need to practice like you play. Your mentor will be like a really great boss. They will challenge you to enjoy the process of leveling up quickly, because that’s what we are all called to do as professional software developers. This part is up to you. Your mentor is the person that can help to get you there. The realization of your audacious dream starts with a conversation. Ready to learn more about Launch Online? Get started here.